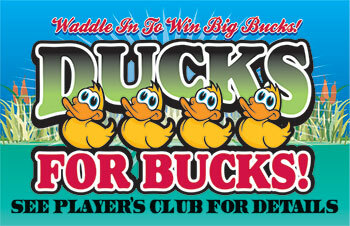 Waddle In To Win Big Bucks! Players earn a duck based on Player’s Club points that you determine. 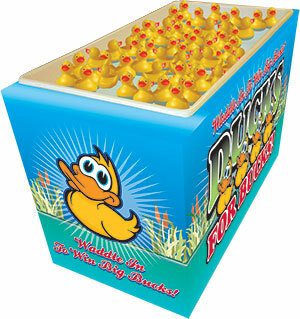 Players select a duck from the Duck Pond with a prize tag inside. You determine what prizes to award. 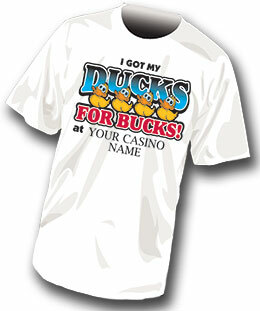 Players that earn 4 or more ducks are entered into the Grand Prize drawing at end of the promotion. 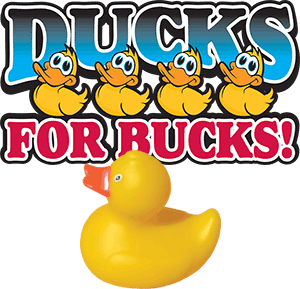 Players need to earn one duck per week. 24" x 48" x 32"